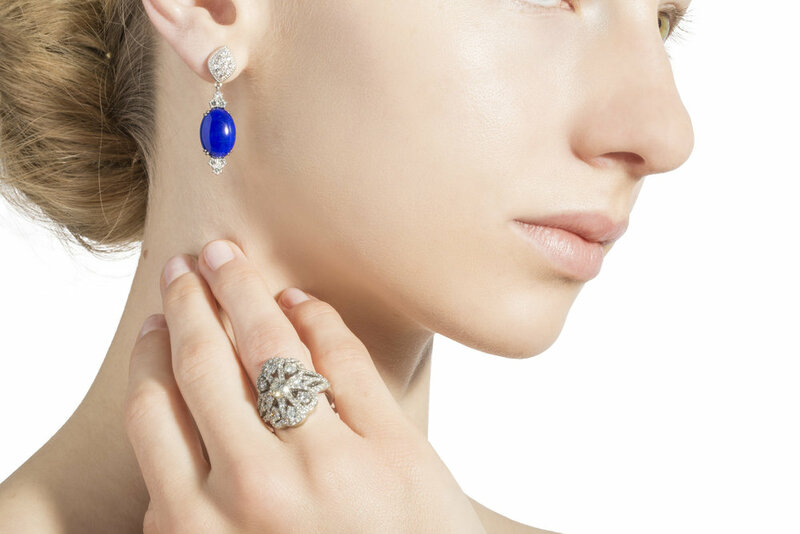 A diamond shaped pave stud tops a beautiful gathering of diamonds and rich blue Lapis Lazuli in this refined design from Katherine's colored stone collection. Celebrated as one of the beautiful of opaque gemstones these Cabochon cut Lapis gems stack up against a trio of prong set white diamonds in 18kt White Gold. 11.01 carats total weight, Lapis is oval cabochon, intense color blue, Diamonds are .66 carats total weight, F-G in color, VS in clarity.